For longer names/double names we allow to adjust the whole accordingly (two-line design-the word "Family" is written smaller in the middle of the name). Up to a maximum of 6 hearts can be installed here. We would also be happy to provide "placeholder hearts" if the family planning is not yet complete. These placeholders can then be easily replaced later. * * The door sign grows with * *. Individual hearts can therefore be reordered we are located in our shop department "accessories". 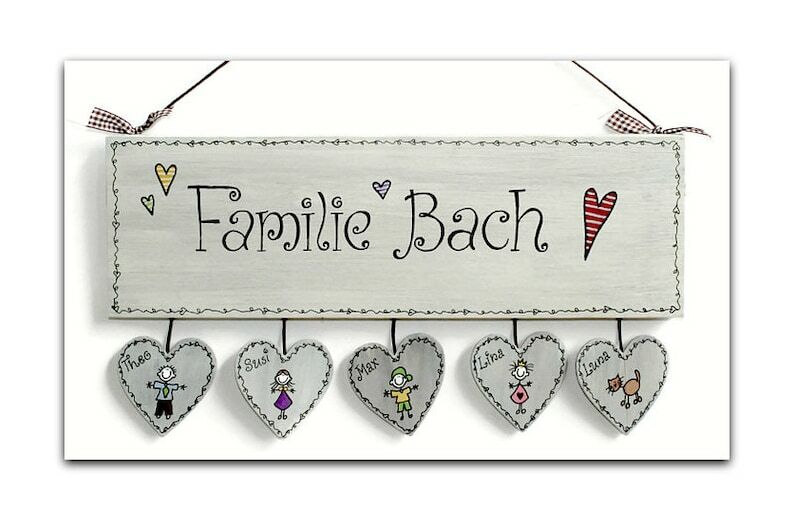 This door sign is * * Also available as a slate * * with an attached slate heart * * (see other offer in the shop).